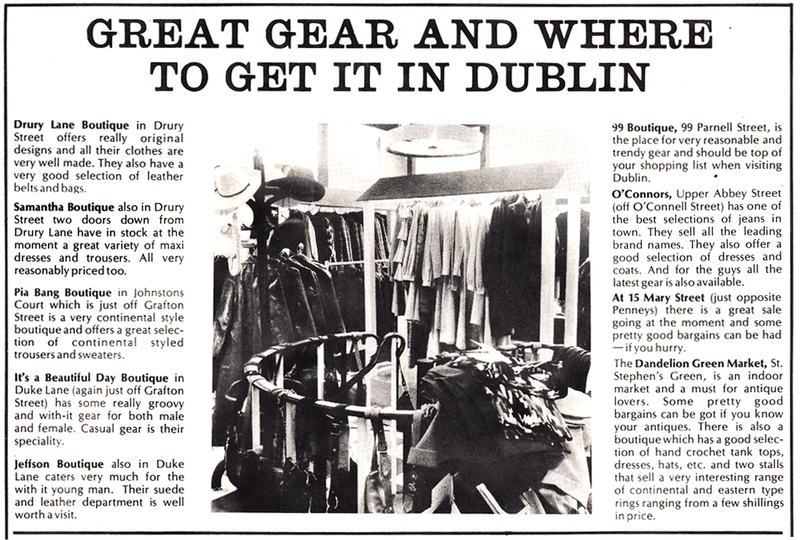 All of the above scanned from a supplement published by New Spotlight in March, 1972 aimed at young people travelling to Dublin for the weekend using CIE’s Great Train Robbery offer of cheap weekend return train fares. Is she the mother of those two eejits who ran Bang Cafe? Is that girl in the House of Cassidy ad on a mobile phone …? Although it’s a old post we just had to share this…groovy. I still have a skirt that I bought in Pia Bangs…cost me a week’s wages!